Gem Song (left) has overcome testing conditions to win the Eskimo Prince Stakes at Warwick Farm. The Kris Lees-trained three-year-old colt has now racked up four wins from six starts with his victory in Saturday’s Group Three sprint over 1200m. “There is a lot of upside to him,” Lees said. 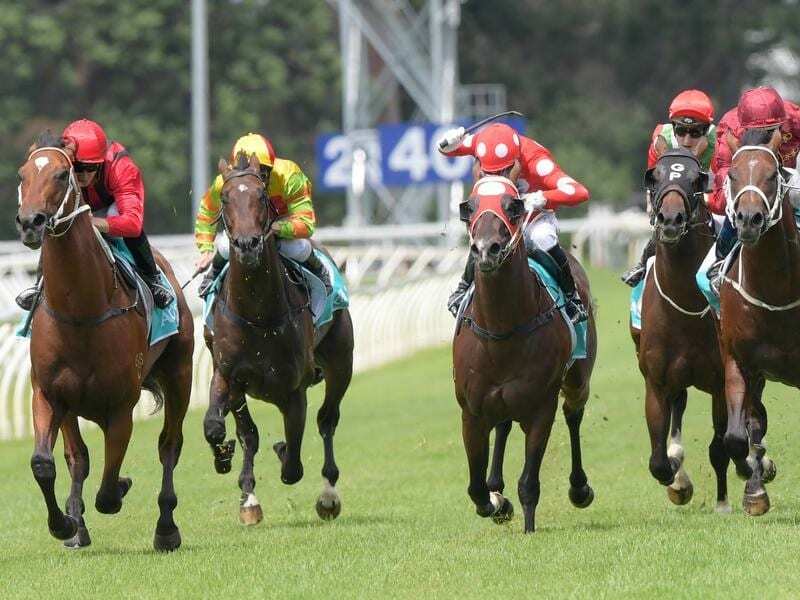 The other feature three-year-old race, the $1 million Inglis Sprint (1100m) heralded a return to the winners’ stall for Fiesta who wore down Golden Slipper winner Estijaab who had not raced since her big win last year. “I knew what I had to run down,” Schofield said. “Brenton had a pretty easy time up front. “The ground is a bit testing but I was smoking my pipe, she was travelling that sweetly.